The boat is 18 meters long and 5 m wide. Maximum speed is 11 knots, has 2 toilets, bar, kitchen. Throughout the width and almost the entire length stretches the upper sunbathing terrace that can be covered with a slight awning. It is built from high quality oak, ash and teak varieties. This boat is a beautiful example of traditional wooden boat construction in Croatia. Departure from Novigrad at 9:15. 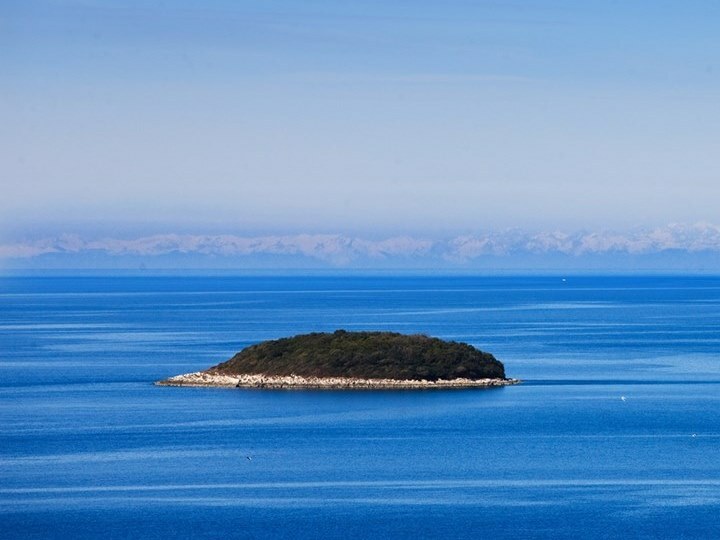 Panoramic ride along the coast of Lanterna, Poreč, Funtana and Vrsar without disembarkation. 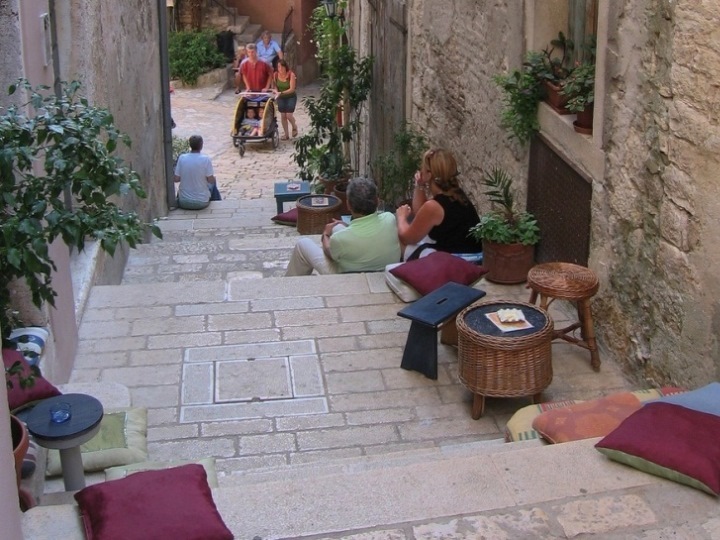 Upon arrival in Rovinj, organized is lunch and sightseeing or free time for your own program. The pause lasts for 2 hours. 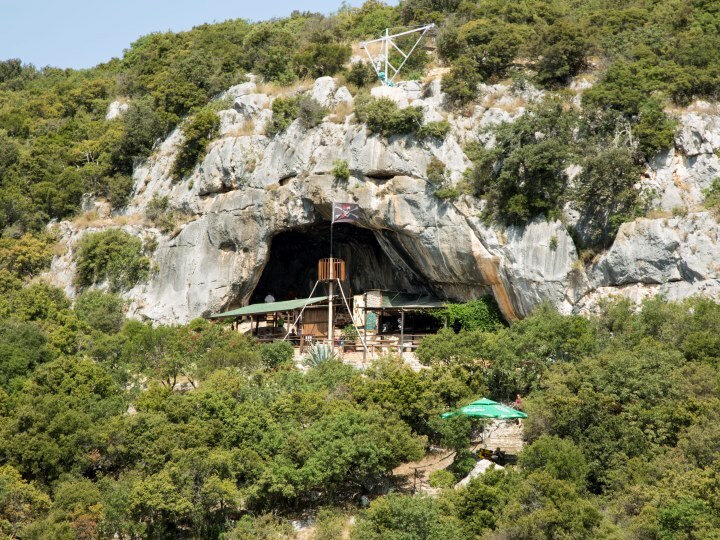 Following is the voyage to the Lim Channel, with the disembarkation at the Pirate Cave. 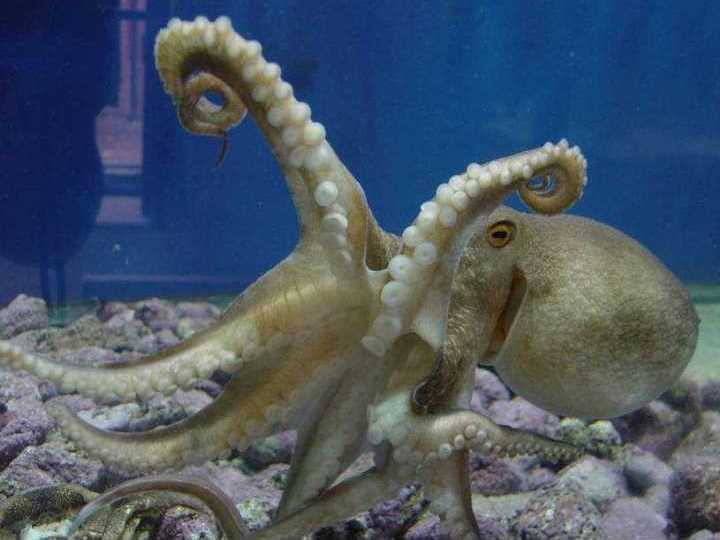 Here you can swim or relax in the cafe. This pause lasts from 45 to 90 minutes, depending on the weather conditions. 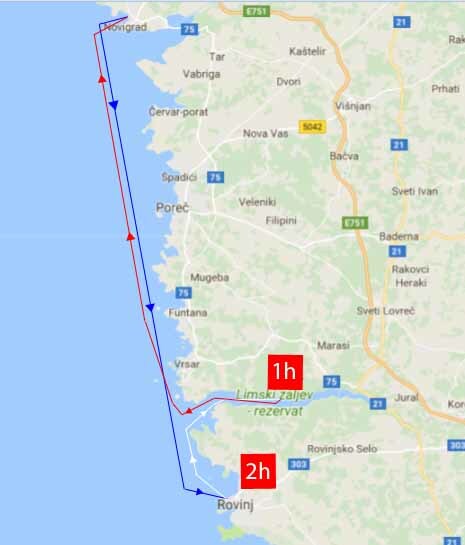 The return to Novigrad is planed around 17:30. 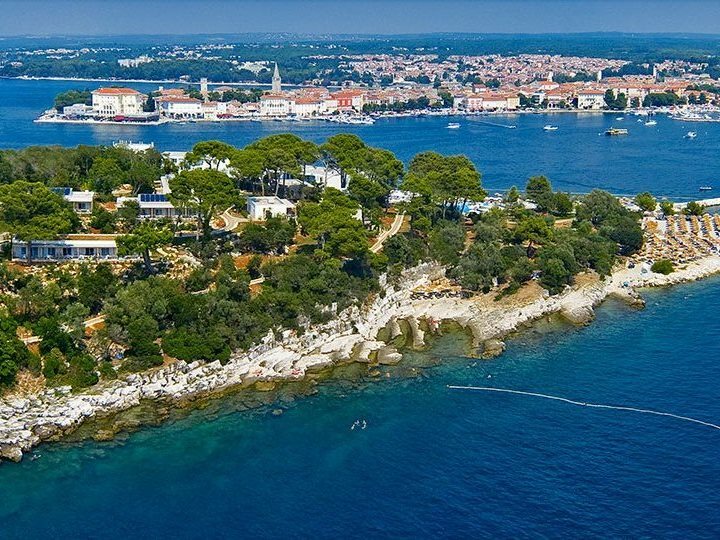 Among the boat trips from Novigrad or Umag, this is the only one with a stop at the Lim Channel. 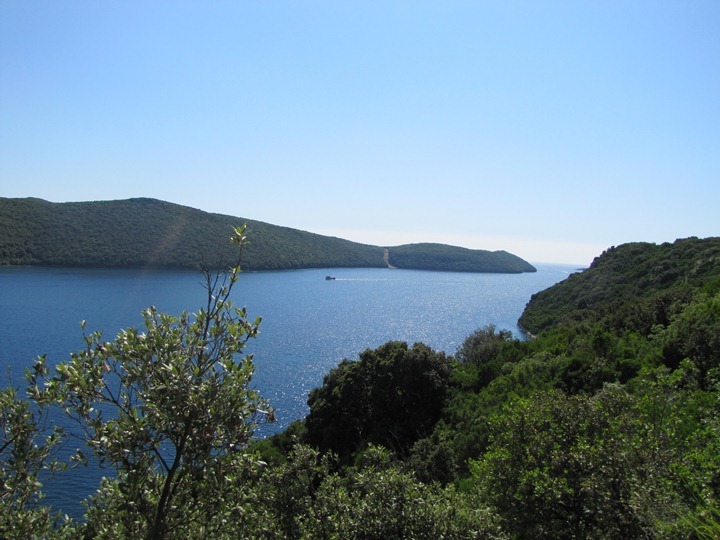 On this excursion, the places on the coast and islands that tourists see during the boat ride are described by a standard licensed guide. 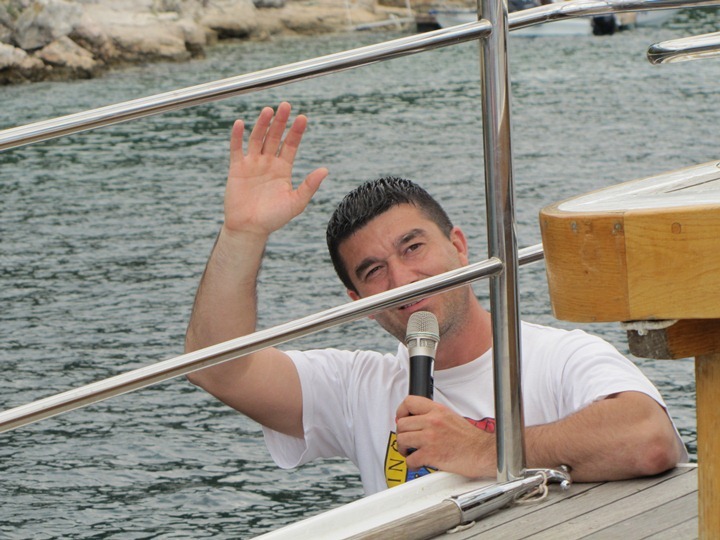 Also, during the break in Rovinj, after lunch, he is leading a tour of the city with interested passengers. 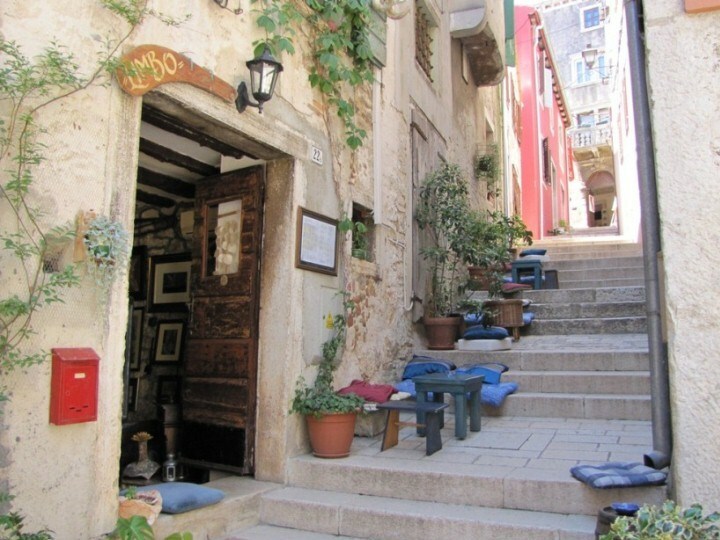 Compulsory languages are: Croatian, English, German and Italian. 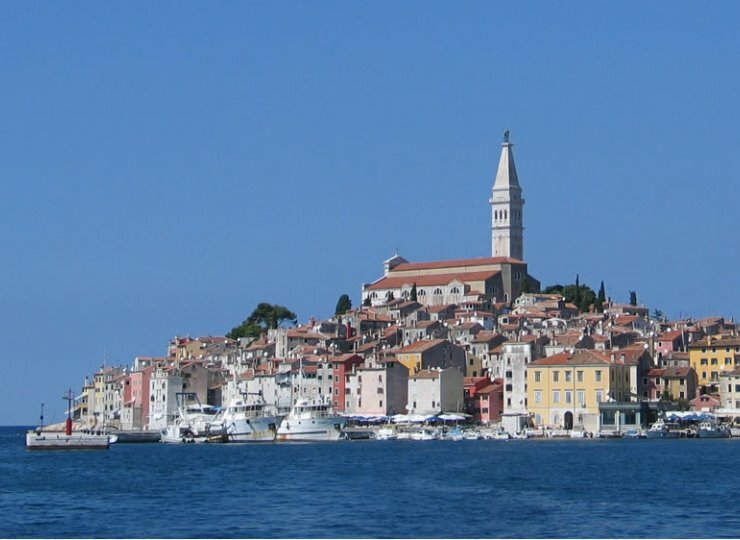 During the return to Novigrad is possible animation, dance, etc, in accordance with the wishes of passengers. What food and drink are included in the price? 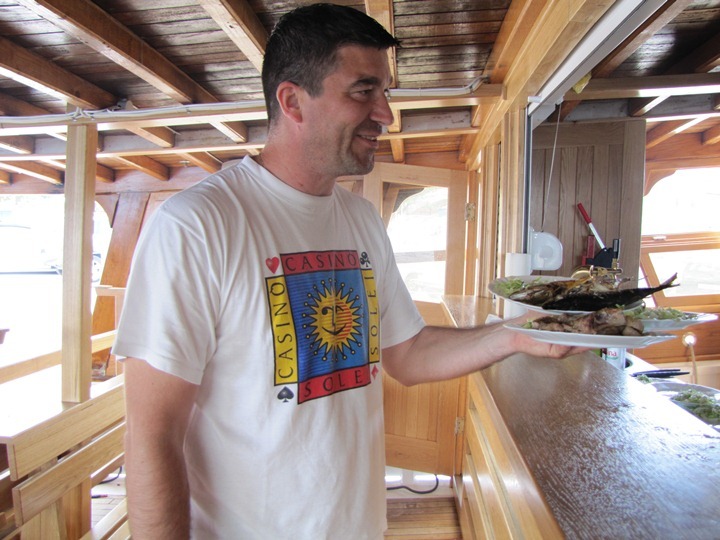 Lunch is prepared and served on a boat during the ride (most often in Rovinj), consisting of grilled fish (mackerel) and chicken meat from the grill, bread and cabbage salad. The third option is vegetarian menu. Lunch includes unlimited consumption of wine, mineral water and juice. Price is 240,00 HRK for adults. Children from 0 to 5.99 years are free and from 6 to 13.99 pay half price. Children must be accompanied by adult persons. Pets on request. How to find the ship? 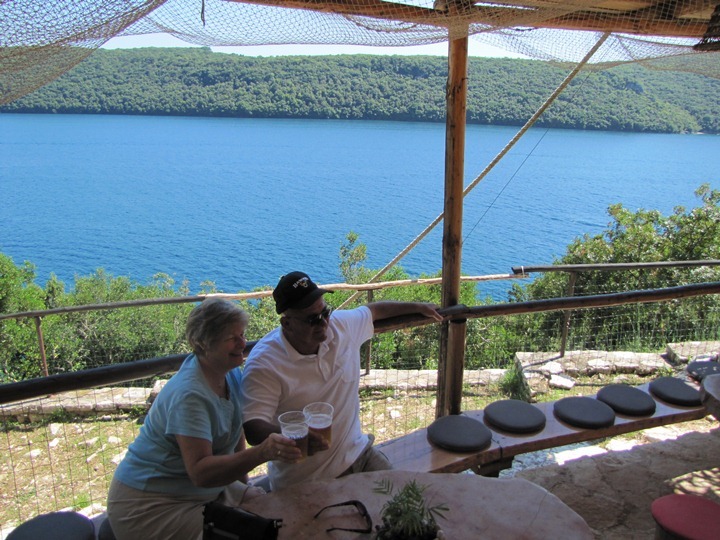 On the excursion guests can come individually or using organized transport. For guests arriving alone we will give you an address and a link to Google Street. 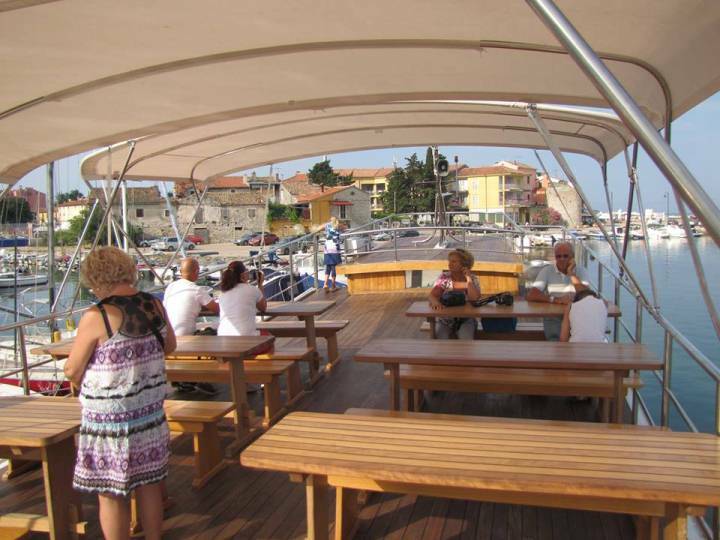 Boat is on the pier behind building with address: Mandrač 9, 52466, Novigrad. To help find a ship, follow this link. Parking at this address is not possible from 15th of June until 15th of September. Organized shuttle is available at the following prices: 30 HRK for adults, 15 HRK for the children from 6 to 13.99 and free for the children from 0 to 5.99 years. 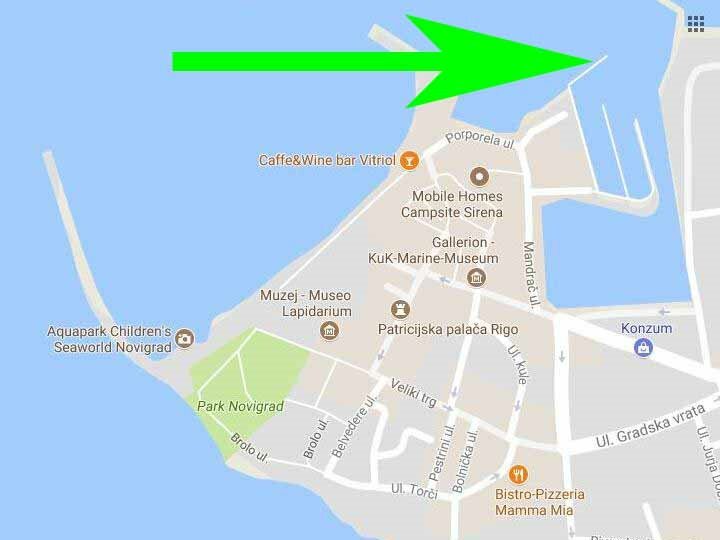 Standard departure times are: Kanegra at 7:45, Savudrija at 7,55, Umag at 8:10, campsite Park Umag at 8:20 and campsite Mareda at 8:30. 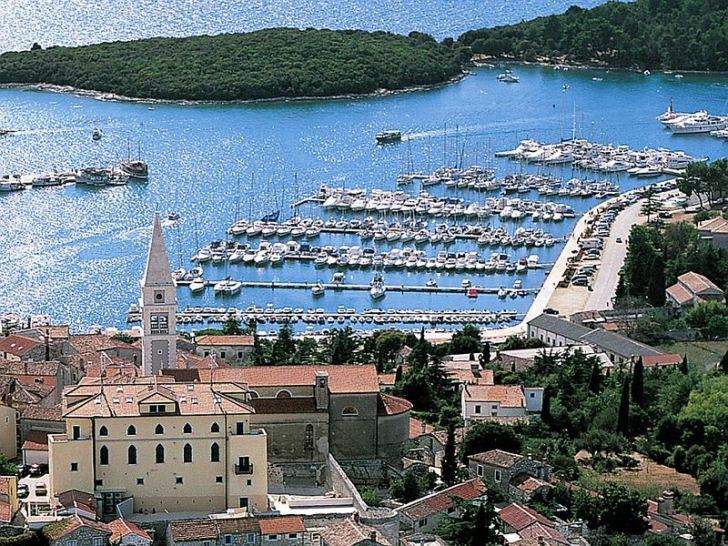 For guests not in or near Novigrad, it is good to know more about boat excursions from another places in Istria. -You can send an inquiry by e-mail. We will send you the offer by which you can pay the full amount or deposit in advance and the rest in cash upon departure. 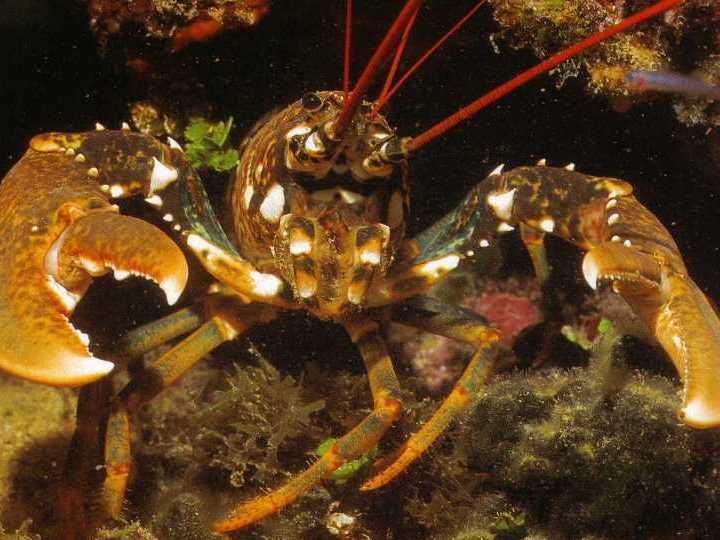 -You can send your name, mobile phone number and address in Croatia. Payment will be in cash on departure. The agency will check the address and accept the application. Travel tickets (vouchers) can be printed or in electronic form. 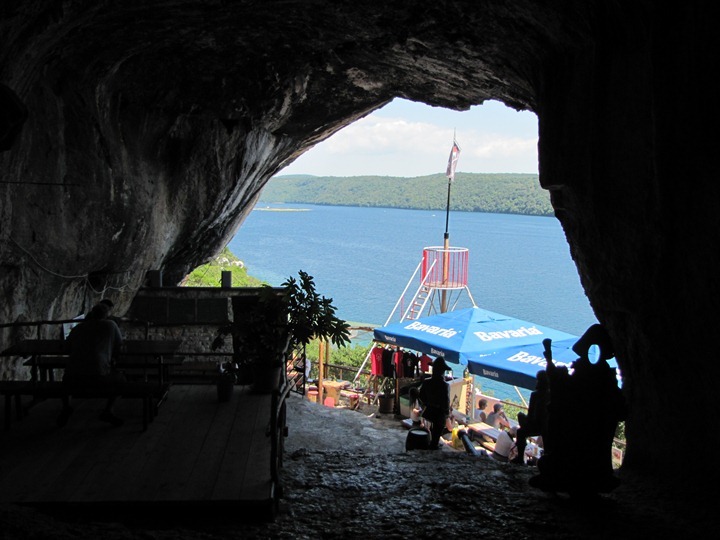 Desired day of the trip and more free places can be also obtained on request. 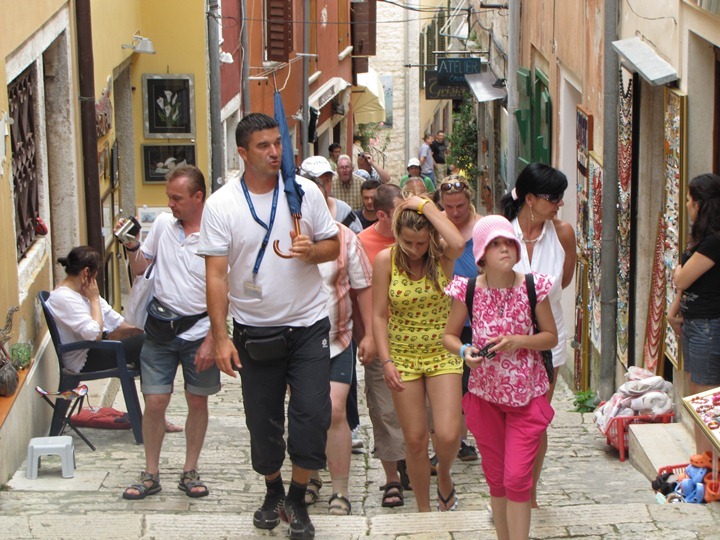 For more information about your excursions call Mr. Nenad Heinrich at 0038598232083 or send request by e-mail. 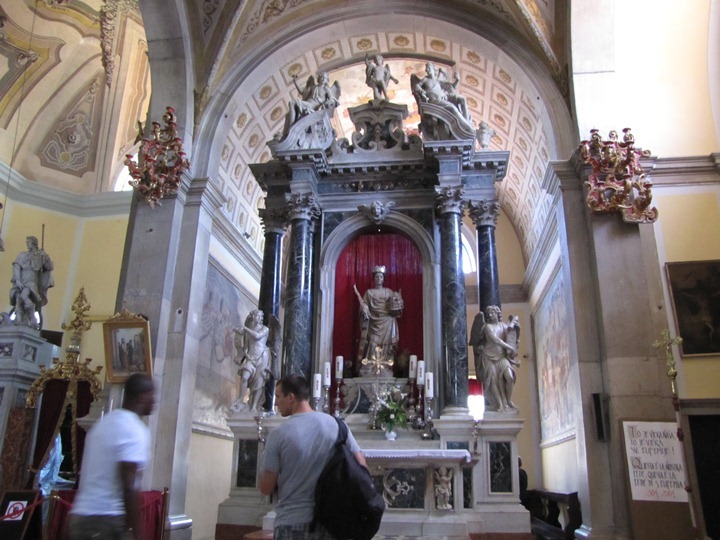 More about EXCURSIONS AND SERVICES HEINRICH. General conditions of the excursions are here.